At F.A. Hobson Landscaping, we design and build outdoor living areas that seamlessly integrate with your home and the surrounding property. Simply put, our designs look like they are supposed to be there, and have always been there. A custom patio is built to be beautiful and not gaudy, functional yet elegant, while adding to the overall beauty of your home and property. The same can be said for everything that we build. 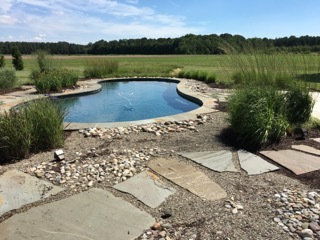 Call us at 410-739-6800 and let us show you how wonderful your property can look with a new patio, pool, driveway, etc., from F.A. Hobson Landscaping.